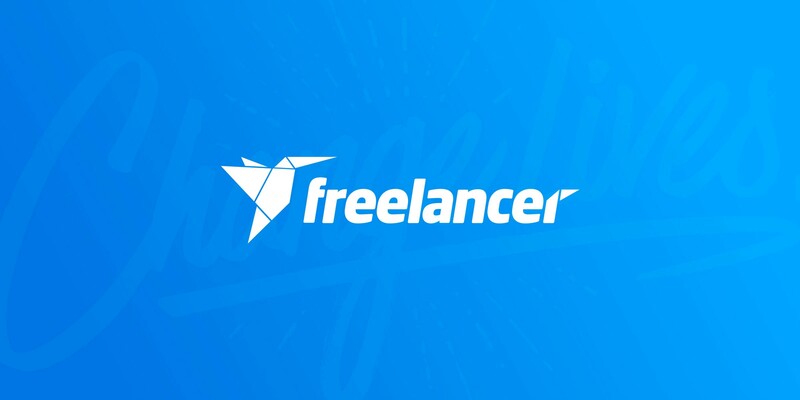 Freelancer.com is the world’s largest freelancing and crowdsourcing marketplace. It connects over 31 milion employers and freelancers globally. 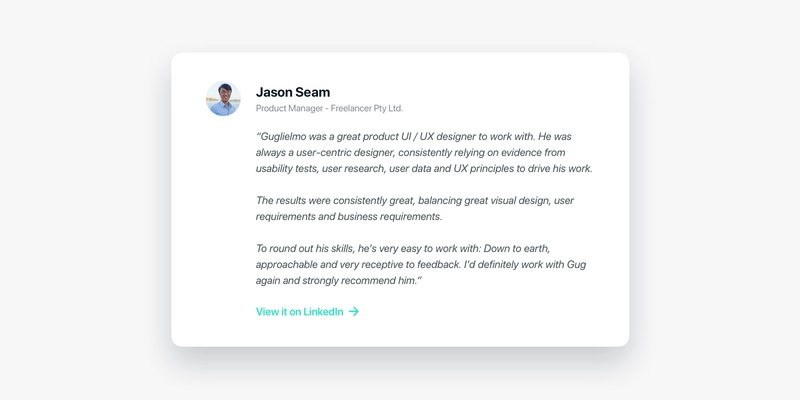 I joined the Company as the Product Designer, I worked on multiple projects and with different teams focusing on improving the user experience for millions of users. One on the main problems the management wanted to solve was the inconsistency between the web and the native apps in term of UX. 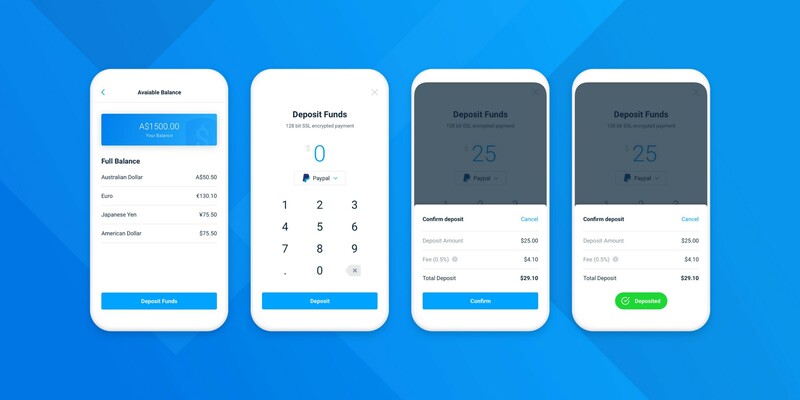 Post a project, award a freelancer, manage the payments,… they were completely different experience and sometimes users got confused when they have to pass from a device to another. Solving the user experience inconsistency was a challenging project, because changing how the users are used to perform some action can have a negative impact on their experience and so on the business metrics. With the Product Manager and the all team we decided to approach it gradually to help the user to get used with the new changes, to measure and be sure that they don’t affect negatively the metrics. 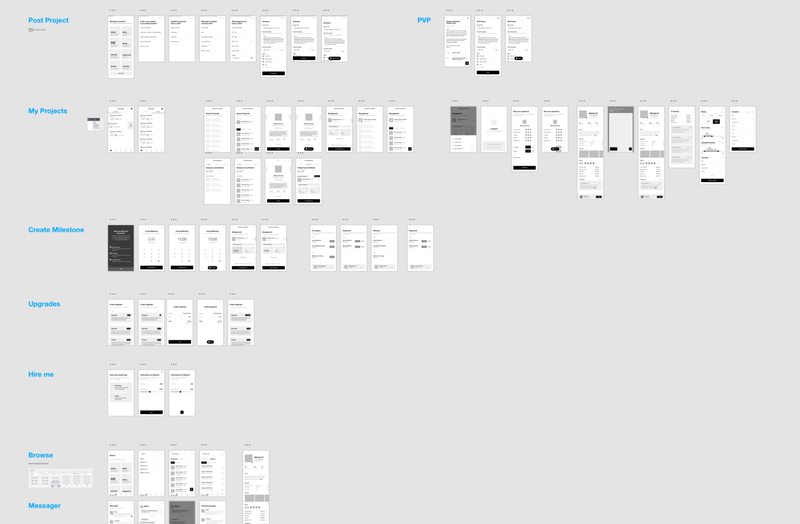 I started by mapping digitally the all mobile experience and compare the inconsistent experience with the web platform. Then with the Product Manager and the Data Scientist we choose were to focus our work and come up with a product strategy. It was not only one way, some of the good mobile user experiences have been tested and implemented on the desktop app. I started with the Design Process: researching, checking the data and exploring how to provide the best solution to reach our goal. 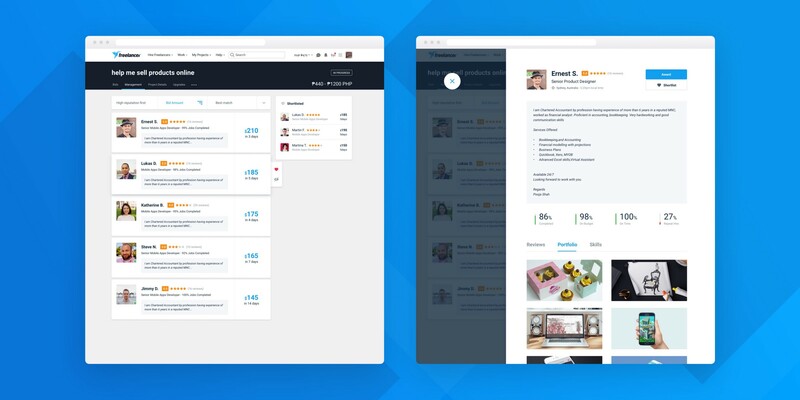 I made sure the all the changes were user testing before starting with the implementation and even after we were a/b testing the changes and following the data results, iterating on them if it was needed. #2 Mobile UI Pattern Library. Another big problem that the management wants to tackle was the inconsistency in term of User Interfance between the native, mobile web and desktop version of the product. So with the design and mobile engineers teams we decided to standardise some guidelines and write documentations that can help the mobile developers and designers to be more alligned and reduce the incosistency of the UI. I lead this project and worked with 4 great mobile engineers (2 iOS and 2 Android) and the design team. We approached it following the Atom Design Methodology by A. Frost and we started documenting all the differences between the desktop and the mobile UI. 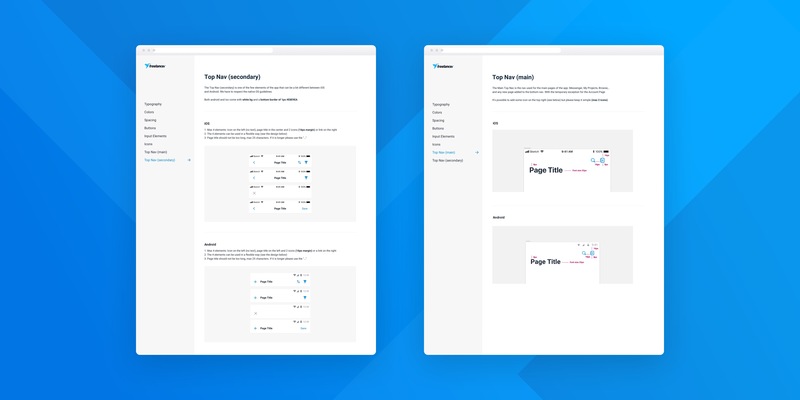 After analysed them we saw where the main inconsistencies where and we focus on those UI elements, improving one by one, on the sketch library and on the live app. As last step we created website available to everyone inside the company where we documented all the elements and we provide guidelines on how to use them. This is important because a pattern library is not owned by one person or a team, but is a product of the all company. With the Matchmaking team we worked on some incredible new features to improve the life of our clients and freelancers. One of the problem we found from user interviews and data analysis, was that it was not very easy to browse and choose the right freelancer. "The filter are not helpful"
"I don’t know which freelancer should I award"
We brainstormed, researched and explored different ideas. 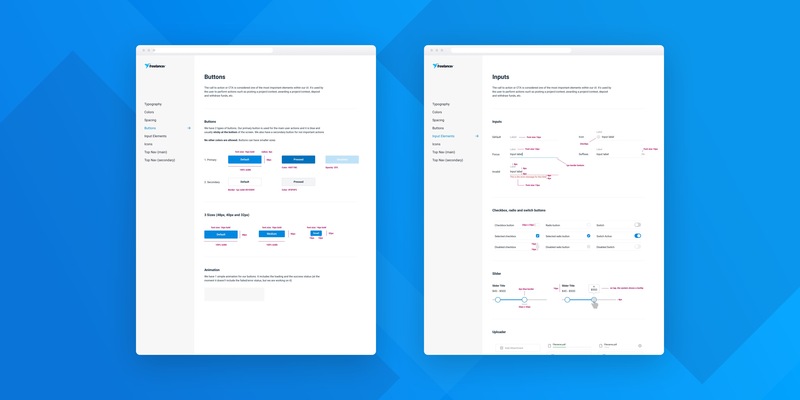 And after a few month of work, prototypes and user testing sessions we were super excited about the design solution we got. We approached this problem from 3 different sides. Clean the page from unnecessary informations, redesign the filter system and release a new feature, the Expanded Bid Card. 👆 Removing from the page some unnecessary elements would help the user to focus on the goal of the page and reduce the feeling of overwhelming that the page was given. ✌️ Providing an advanced and re-designed filter system would improve the user experience of our clients on the browsing and filtering the freelancers more appropriate for their projects. 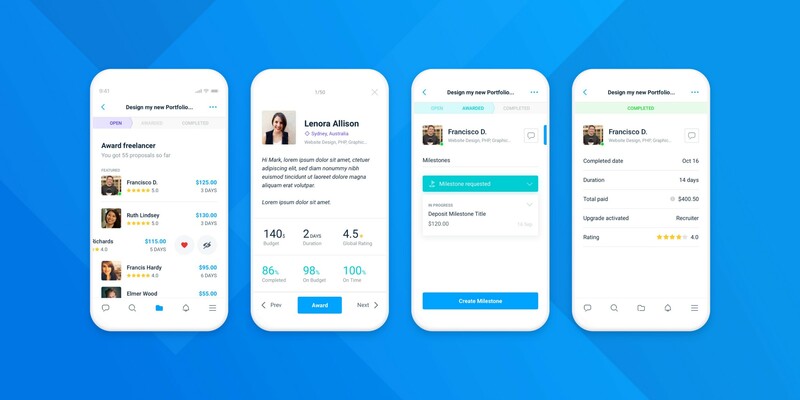 🤟 Providing and Expanded Bid Card with all the most important information about the freelancer would help to reduce the amount of clicks, time and help the user to stay on the same page (without having to open all the freelancer profile page). We thought also about mobile and provide a solution for it too. We make sure to gradually implement the changes and measure them through A/B testing. The feedback and metrics were incredible positive. I'm currently available to work on new project. © 2019 Guglielmo Pardo. All Rights Reserved.